Rolls-Royce hosted their inaugural “Cars and Cognac” last Friday, but didn’t announce it publicly so you couldn’t show up and ruin it with your grubby little hands. The goal was to create an upscale version of Cars and Coffee, which Rolls-Royce describes in their press release as an event “where motor car owners converge in the morning over refreshments.” I am not kidding. This is in keeping with the longstanding tradition of Rolls-Royce press releases reading like they were written by an alien attempting to sound human based entirely on magazine articles from the 1920s. 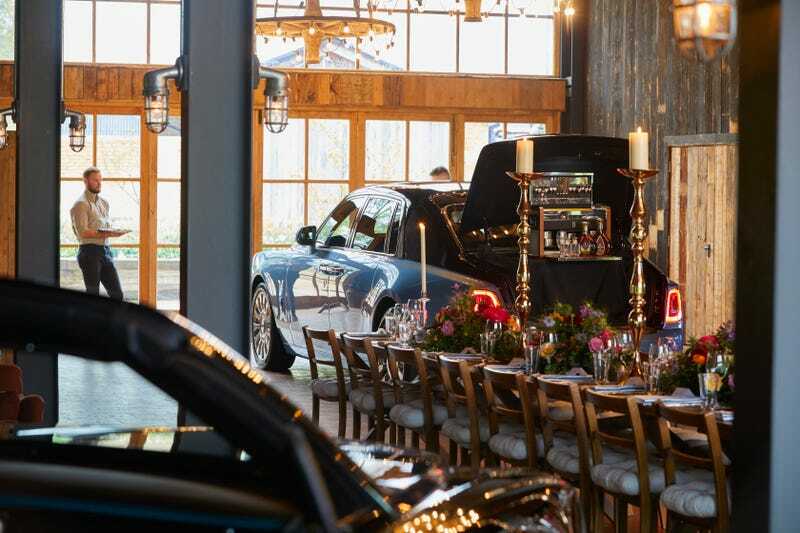 Rolls-Royce hosted this shindig at a members-only Farmhouse in the Cotswolds, which they called “befitting of the marque.” Never satisfied with pedestrian coffee, Rolls Royce owners were treated to a cognac tasting. Lest ye fret about the scourge of driving under the influence, remember this is Rolls-Royce we’re talking about and that chauffeurs come with the territory. As such, one could take complete advantage of the on-site sommelier and sample all of the available libations without risk of putting their vehicle’s spirit of ecstasy into a hedge. Given that the company put out a press release on the event praising it as a success, it’s likely Rolls-Royce plans to host more of these. Wonderful, as it gives them more opportunities to not invite you or any of the other unwashed.